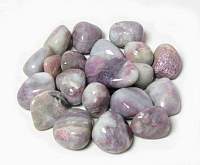 Pink Tourmaline in Quartz and Lepidolite Tumbled Stone LGHeather Padgett2019-03-27 https://www.ravenandcrone.com/catalog/images/pink_tourmaline_quartz_tumbled_stone_tn.jpg Amazing stone with affordable prices. Highly recommended. 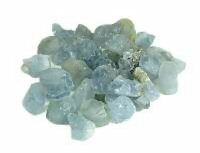 Topaz Silver Blue Tumbled StoneCat Magic2019-03-25 https://www.ravenandcrone.com/catalog/images/blue_topaz_tumbled_stone_tn.jpg A gorgeous stone! Very clear with blue undertones, just exquisite. 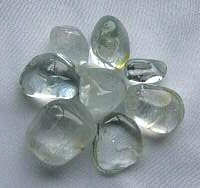 Very tranquil stone but lots of g..
Nuummite Tumbled StoneCat Magic2019-03-25 https://www.ravenandcrone.com/catalog/images/nuummite_tumbled_stone_tn.jpg This is a powerful stone, lots of energy flowing out of these guys - I use them during meditation an..
Celestite Natural Crystal Chunks MEDIUMCat Magic2019-03-25 https://www.ravenandcrone.com/catalog/images/celestite_natural_chunks_tn.jpg Delightful chunks of Celestite! You can feel their gentle energy at work holding them in your hand. 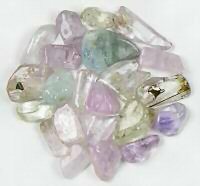 ..
Kunzite Crystal Polished SMALLCat Magic2019-03-25 https://www.ravenandcrone.com/catalog/images/kunzite_crystal_tn.jpg Magickal, Mystical little beauties! 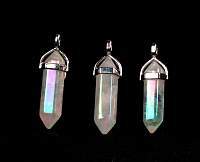 They exude an energy of goodness and spiritual well being. 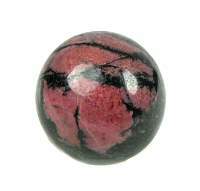 my st..
Rhodonite Sphere 1.5 inchCat Magic2019-03-25 https://www.ravenandcrone.com/catalog/images/rhodonite_crystal_ball_1.5_tn.jpg Beautiful Stone! Excellent quality, very subtle energy radiating out of this sphere - it's at work a..